Just because it’s cold doesn’t mean you can’t be hot. BeyoncÃ©. I know, as if you needed me to tell you this. But did you see that even the Art Institute of Chicago is crazy in love, recently releasing an internet marketing campaign superimposing Jay & Bey into famous paintings in the collection. What?! Freaky BeyoncÃ© and Jay-Z American Gothic. Trans is Trending, are the first three words in this piece for Bullett Media by Fiona Duncan. Pointing to a pretty fab recent Barney’s campaign featuring all trans models, she also points out Laverne Cox, Carmen Carrera and Chelsea Manning as trans poster children of the past year. 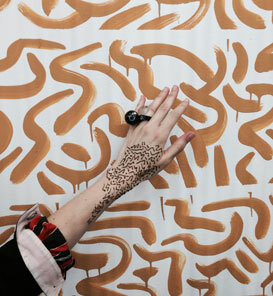 Henna Tattoos & Instagram Selfies. Alberto Aguilar’s conversational pieces are sweeping the SAIC community after the artist gave 4-minute tattoo sessions for free inside a beaded alcove at the opening for “PARTY,” an alumni show in celebration of SAIC’s SUGs galley’s 20th anniversary. Featuring a ton of pink and black sheet cake, and Claire Ashley inflatables jiggling to John Philips on the ones and twos, it was a sight to behold. For Instagram bonus points, scope Isa Giallorenzo’s piece with awesome pictures of the ever fashionable #FigureandGround also on view at “PARTY” for the Chicago Reader. Blissing Out. I don’t actually know what this means but if Extinct Entities’ Anthony Stepter is doing it, it must be cool. For more proof, see Father Finger’s Kylie Lance blissing out in her new video, “Body of Bliss” off her new album of the same name. It still sounds like some hippy yoga thing to me, but whatever man. Bliss on. E-Cigs inexplicably STILL trending. Now there’s a forum about it? 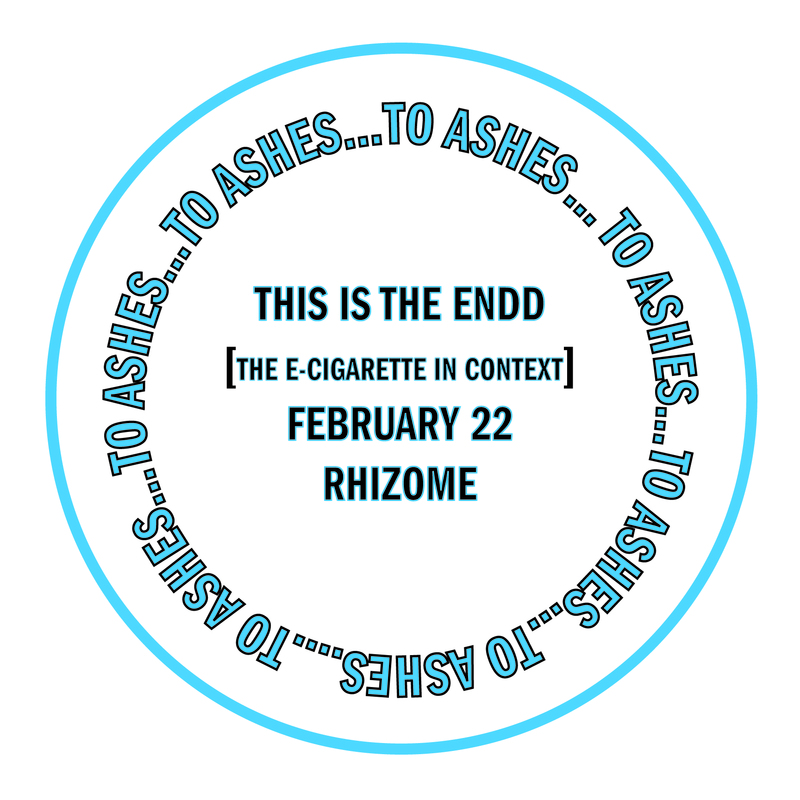 Featuring contributions by Tracy Jeanne Rosenthal, Orit Gat, Mat Dryhurst and Brian Rogers, and a video intervention by Karthik Pandian and friends, “This is the ENDD” was created by Rhizome to examine the broader context of the Electronic Nicotine Delivery Device (ENDD). 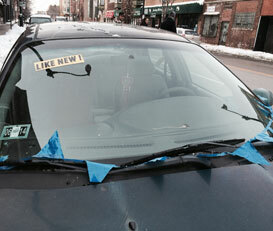 Worth it if you’re still into that sort of thing and nearby the New Museum on February 22nd. 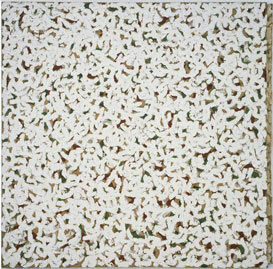 Robert Ryman, Untitled, 1962, Oil paint and viynl on streched raw linen canvas, 62 3/4 x 62 5/8″. Image via Pace Gallery. Dedicated fans flocked to Links Hall on Saturday, January 25th, on the closing night of Extinct Entities, to experience Borderless Musical Imaginaries Mixtape: House, Chances and Recuperating Queer Genealogies. Micah Salkind and Latham Zearfoss opened the evening with a back and forth lecture on the history of House music in Chicago and Chances Dances, respectively. A disco light flashed in the corner of the packed house and a projection behind the artists displayed the mix tape info and documentary style footage of the former monuments of the House scene. Extinct Entities organizers, Anthony Romero, Erin Nixon and Anthony Stepter introducing the program and the sweet EE event posted designed by Melisa Morgan. The interplay between Salkin’s academic history and Zearfoss’s personal essay on the development of the 8 years running so-much-more-than-a party, Chances Dances, was completely engrossing. Zearfoss behind the scenes on Chances “blissful resistance,” from gender neutral bathrooms to Off Chances and the establishment of the Critical Fierceness and Mark Aguhar Memorial Grants. Salkin elaborated on the movement of the queer Black and Latino avant-garde through legendary clubs like The Warehouse and the Music Box. Not to mention the soundtrack was banging, and the dancing in between sets made giving a lecture look fun for the first time ever. 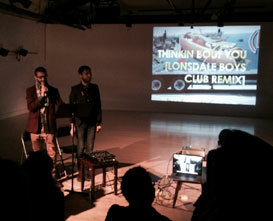 Feeding off the presenters energy a decidedly dance-y vibe infected the entire audience at Links Hall. Lectures will never be the same. 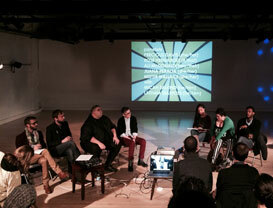 After a short intermission, the second half of the program featured a panel of queer nightlife movers and shakers (pun intended). Drawn from distant corners of the party spectrum, all of the panelist shared fascinating and revealing anecdotes. Praise for Chances was also universal. I was taken by RosÃ© Hernandez’s “pearls of wisdom” on nightlife, commenting that “partying is an art form” and “social sculpture.” I also though Davis’s description of “the jump” from drag queen to trans diva was beyond inspiring. 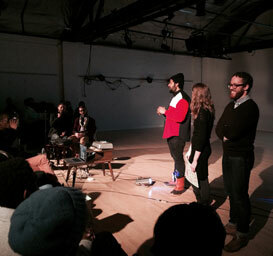 The audience was accordingly interested and asked questions about the ability of the body and dance to communicate some sort of “Utopian rehearsal room” (in Zearfoss’s words). Panel discussion featuring (L-R): Salkin, Zearfoss, RosÃ© Hernandez, Ali McDonald, Precious Davis, Juana Peralta & Mister Wallace. Rarely do I have that much fun while actually learning about engaging and burning topics. Definitely worth the trek out in the snow. When is the next Chances again? Jacob Goudreault posted this message in advance of last nights boring as hell game: “Do not support the NFL. Do not watch the Super Bowl! ” an online exhibition brought to you by FACEBOOK. The post, which was deleted late Sunday night for reasons yet unknown, also featured eight images that straightforwardly referenced the transgressions of NFL players and fans. WTT? is so regretting not taking any screenshots sooner! Header image features a detail of work by Alex Chitty on display on view in Codification with Zach Reini at LVL3 in Wicker Park.